Another project I did. 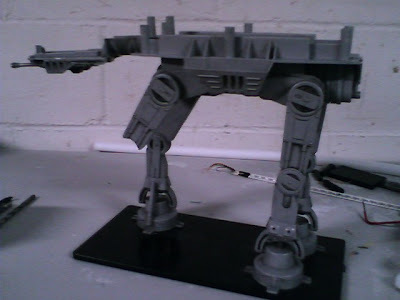 The custom AT-AT! I will go back and put the descriptions in later. For now enjoy the Photos. The Tree Hugger glided smoothly over the hot desert sands of the planet casting a huge looming shadow as it went. Soon Lihp had them within sights of the huge swap meet in the distance. The sun was gleaming off the rusty hulls of the many Sandcrawlers that came together in a half semi circle; the other half of the circle contained small craft and speeders from many worlds. On the inside of the circle were many tents and canopies selling and trading the many items the Jawas had scrounged together. “Lihp, use the outside speaker system to tell your friends we are just here to trade and we mean them no harm” Esoom said in Jawaese. Lihp then jumped up on a console and spoke into the loud speaker system. 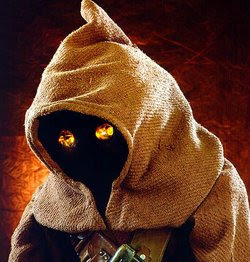 “Jawa clans- be no afraid- Lihp bring friends to trade and buy things- Jawas no need to run.” Lihp said over the speaker. 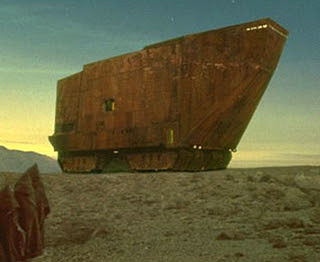 Even with the announcement most of the Jawas and other aliens ran for cover as the mammoth ship approached. The droid pilots found a small space in between some ships and landed. The C-9979’s wings cast a huge but cooling shadow across the center of the circle. The landing gear made a loud clunk as it set down in the sand from the missing and loose parts the Jawas had stripped from it earlier. 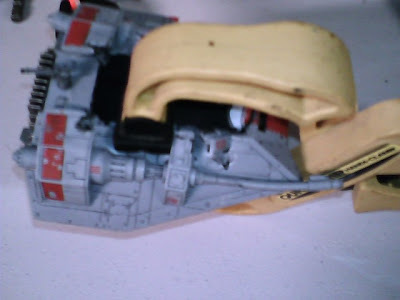 “Lihp’s clan not in trouble- just give ship parts back- no trouble- owner then buys or trade droid things.” Lihp said as the ship started to power down. Faintly you could hear the sound of many Jawas shouting “Utinni!” In the distance. Eight Jawas emerged from under one of the sandcrawlers caring the stripped parts from Esoom’s landing gear above their heads. 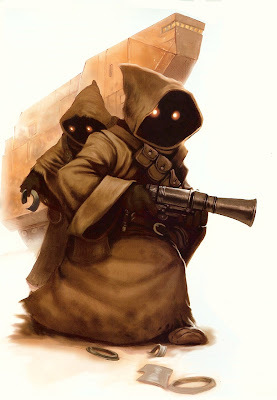 “Lihp promise no Jawa will strip giant man’s ship- Lihp go help put parts back on- thank you for no shooting Lihp.” Lihp said as he walked down the ramp to join his clan in returning the stolen parts back to the ship. “Come along Patches; let’s go look around. 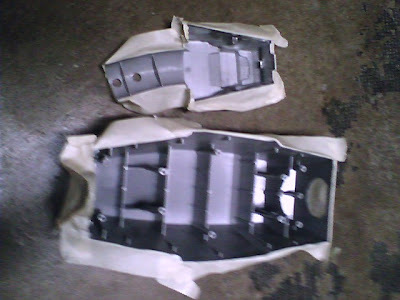 We might even find some of the other parts we need to finish you up.” Esoom said. Patches whistled happily in return, the two of them then went walking around looking at all the odds and ends that were being offered. The two of them could not believe the range of parts and junk the clans of Jawas had put together. 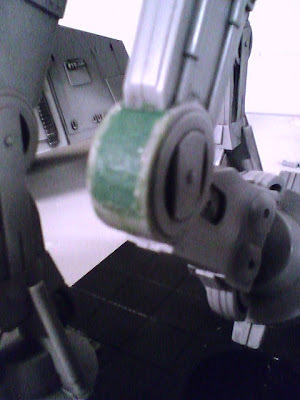 One particular dealer was a light blue colored Squib who happened to have a few astromech parts Patches needed. Esoom haggled for a while and ended up trading a handful of the droid repair tools that were aboard the ship for a brand new front holo projector, a radar lens that is not all cracked up, and a crate full of restraining bolts that would work on their pilot droids as a back up just incase the new programming did not work. 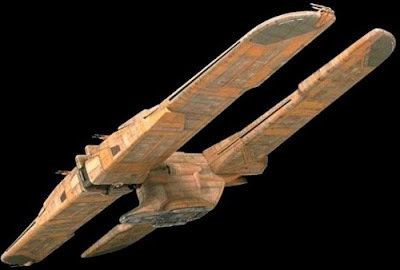 Patches and Esoom then went back to the ship to check on Lihp and the other Jawas and to install the restraining bolts. When they got to the ship the Jawas had just got done putting the landing gear back the way it was. “Thank you for returning my ship back the way it was. Why would steel in the first place Lihp? Your people seem to be passive by nature?” Esoom said. “Esoom we could maybe clone their food source to help them out.” Patches said to Esoom. “Lihp trust giant- give you hubba-trust friend give back.” The Jawa said as he ran threw the sand to his clan’s sandcrawler. “Roger, Roger!” Came the voice from the pilot at the main flight controls. “ Once our former commander was destroyed I have been reluctantly in charge only because I am the oldest unit here.” “Good. Does your group have any plans of highjacking this ship if I let you roam freely?” Esoom asked the leader droid. Patches let out a loud whistle when he realized he did not shut down the controls. “Thank you for the compliment, I am going to install these restraining bolts on all of you and unstick you from the floor. Except for you I want all of you to stay on the bridge until I say so. 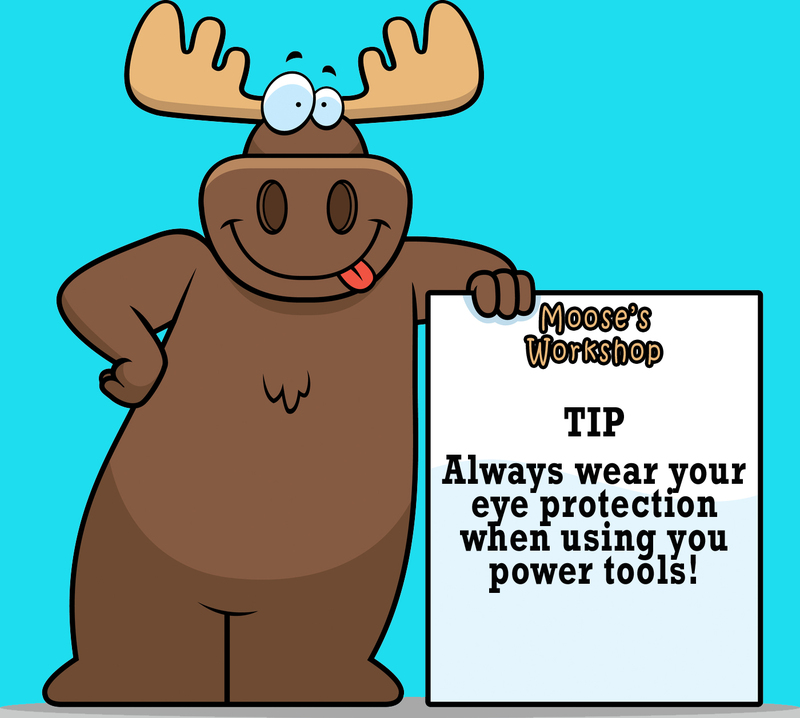 Understand?” Esoom said as he tried to look every droid in the eye at least once. “Rodger, Rodger!” They all said in unison and saluted their Ithorian master. “Patches, will you do the honor of freeing them from the floor after I pop on all the bolts.” Esoom said. After Esoom got done putting all the bolts on, Patches proceeded to cut the pilots free with a cutting wheel disk located in one of his body panels. He started with the leader first so Esoom could talk with him away from the other pilots. Esoom and the leader pilot left the bridge to go talk away from rest of the other OOM pilots. “ I want to color your group with something so you will not be mistaken for Trade Federation Droids. 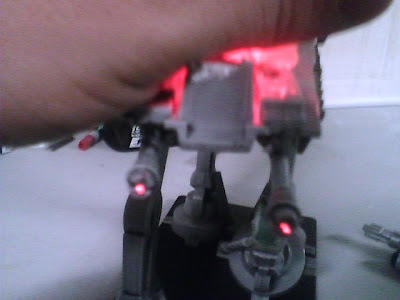 I also want to put an extra marking on you so you stand out from the group.” Esoom said to the droid. “What did you have in mind?” The OOM series droid asked. “So what is your designation Pilot?” Esoom asked. “I am pilot number 4791” the droid said. “Yes sir.” The droid said. “I am also going to need you to.......”Esoom started to say as Liph came running up. “Lihp have hubba! Give to giant friend-hope makes more!” Lihp said as he came running up all excited holding a round and yellowish orb. Lihp then handed it to Esoom. “Roger, Roger.” the droid said and walked away. Esoom took the gourd to one of the many workbenches in the left front wing; Liph followed with much curiosity. Esoom then proceeded to tap the gourd on the edge of the table and the orb split in two. He pulled the two halves apart; the stringy inner fibers tried to hold together with no evale, looking inside the bottom halve he could see it was filled with a watery liquid. After taking samples of the fluid and the stringy pulp he handed the two halves back to Liph. The Jawa then ran off to the far corner of the wing and sat down facing away from Esoom. 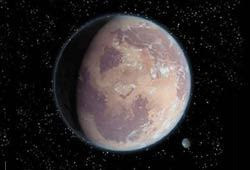 The Ithorian could not really see what he was doing but did see the Jawa set his black inner mask inside the one halve of the hubba that had the fluid in it so the fibers would soak up the juices. Just then the head pilot droid came in holding the plant from Naboo. “Lihp’s clan will be happy! Lihp go tell others- I come back in morning- show were we find hubbas.” The Jawa said happily. “Giants never helped Jawas before unless they have mystic powers. Thanks.” Without waiting for a reply Liph ran back to the lift. “Did you want to go back out to the swap meet Esoom?” Patches asked. “What if the other Jawas try to steal me?” Patches beeped out. “Let me think.” Esoom said as he glanced around the wing of the ship. 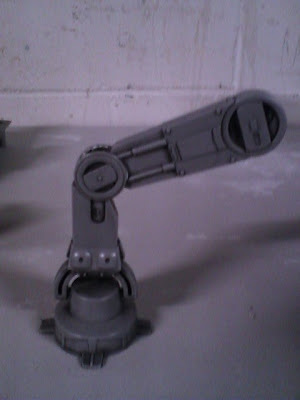 Soon he spotted a Battle droid blaster under another workbench and went to pick it up. 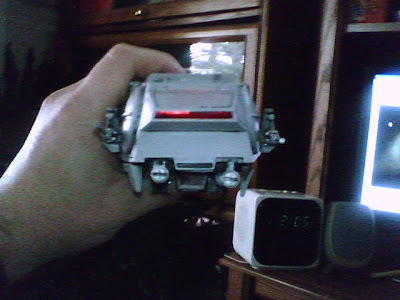 “4791 will act as your bodyguards while you are out there.” He said throwing the blaster to the pilot. “I am a pilot not a security unit.” The droid said as it fumbled with the weapon. “All you have to do is act like you know what you’re doing with the blaster. 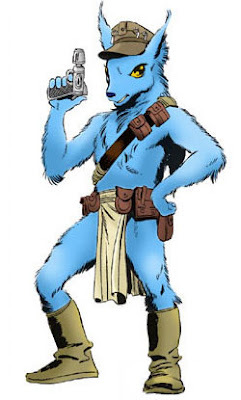 Besides do you think I would give you a blaster that works?” The Ithorian said with a grin. The battle droid pilot looked at the gun closely and finally noticed that the weight of the gun was very light. 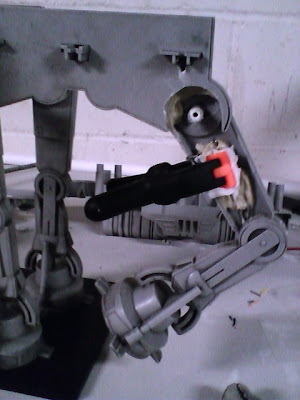 Most of the insides were used to fix other guns back on Naboo. Patches whirled around excitedly and bolted for the lift. The Pilot leader being a little confused stood there for a moment then rushed to catch up to the astro droid almost dropping the gun in the process. Esoom smiled to himself as if he where the proud parent of Patches instead of his owner for a few moments and then went to find a spot to get some rest. 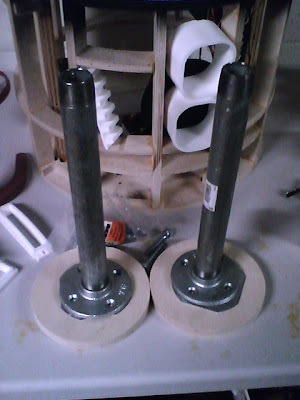 Well I got some more leg parts from my local hardware store for attaching my legs. 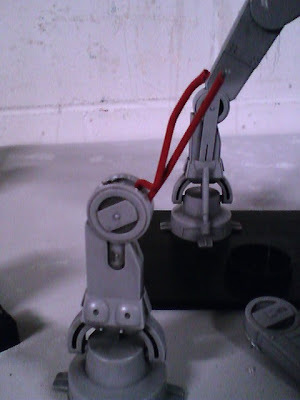 The pipes will run threw the body and hold the legs together. 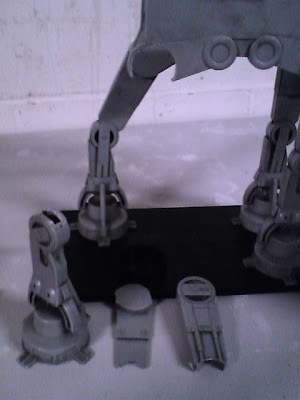 The Pipe wall mount ends will be attached to the legs itself. 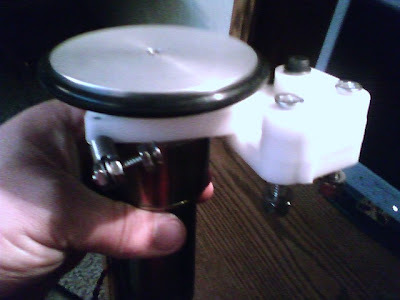 I will be using the new drill press to drill the holes threw the pipe plates mounting holes down threw the shoulder hub and the leg itself for a strong as a connection as I can get. I would go into greater detail about them but there are quite a few other blogs about this subject. The one thing I am doing differently is using a 1 inch pipe instead of a 3/4 inch. 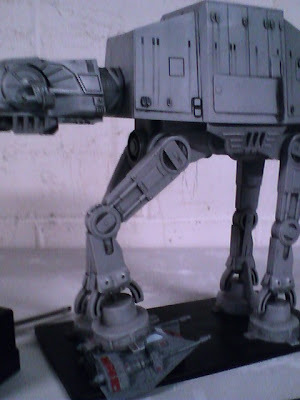 I just wish the weather would warm up and dry out so I could do some sanding on the legs. Patches and Esoom went back to the Tree Hugger for the night to get all the droid parts put in a pile near the main loading ramp so that none of tomorrows strangers would need to be anywhere else on their ship other than putting in the hyper drive. As they came closer to their ship they noticed that the main doors were open and the lights were on inside. Thinking that Watto had double-crossed them Esoom started running towards the ship. Suddenly he tripped and fell into a shallow trench that was not there when they left that morning. Moving as fast as he could Patches whistled in shock thinking his master may have been shot. Esoom quickly stood half way up and waved a hand at Patches to be quiet. Esoom pulled himself out of the trench and looked around. The trench was not a trench at all but four tank like tread marks made by some huge machine. “Patches, use your life form scanner to see if anyone is still on the ship.” Esoom whispered. One of the multi colored astromech’s top dome panels opened up and a small device came shooting up and started scanning the area. “Just one small life form, it seems to be in one of my traps that pinned it on the ceiling.” The droid softly chirped. “Let’s go then, but be careful, they might be armed.” Esoom said. As they approached the main ramp they noticed a small brown robed creature hanging upside down from the ceiling with one of its legs caught in a metal cable that Patches had set up. It was holding a battle droid arm in its hands whacking furiously at the cable yelling in some high pitched voice neither of them could understand. Suddenly the creature noticed them and looked at them with shinny sparkling eyes. “ Who are you? What are you doing on our ship!” Esoom said with much distain. “Ikee eyeta” the creature said as Esoom noticed its eyes were really yellow gems in a black faced mask. “Nyeta” the little creature said shaking its head in a no direction the best it could for being upside down. “Well can you understand what I am saying?” Esoom asked. “Ibana, Ibana!” It said shaking its head yes. “Ibana, Ibana!” It said shaking its head yes again. “Patches. Let our guest down......slowly.” Esoom said. The astromech then went to a panel and pushed a few buttons. The creature was lowered a little to fast to the floor and hit with a small thud. 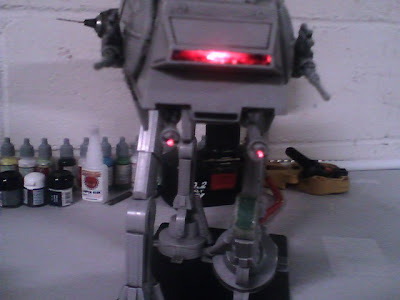 “Nekkel juuvar obwegadada!” It said loudly as it got up shaking the droid hand at Patches. “Now what are you doing on our ship?” Esoom asked more sternly this time. “M'tuske Opakwa. Ashuna Jar k’osa Upezzo.” It said. “ I still don’t understand?” Esoom said. “Yukusu kenza keena?” It said tilting its head. “Ibana! Oko! Shanay pibboz Taa baa.” It said shaking its head yes. “Good, that cable stays on your leg for now just incase. Patches close the door and keep an eye on our guest tonight. I am going to go make sure all the parts are still here and go to the bridge and check in on the pilots. Then I'm going to get some sleep.” Esoom said as he walked to the rear of the ship and went up the lift. 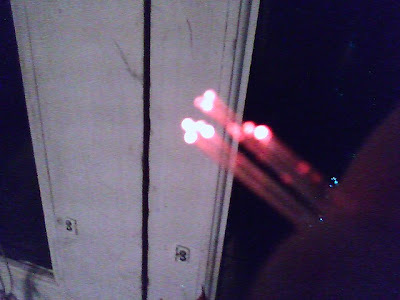 Patches then closed the main doors and dimmed the lights. “A beton nya mombay m'bwa!” The yellow-eyed thing said as it pulled a restraining bolt out of it’s robes and inched closer to the astromech. Patches saw the device in it’s gloved hand and quickly pulled a large pruning sheer out of one of his panels with the blades opened pointing it directly at it’s neck. The robed creature dropped the device and backed away slowly. It then proceeded to a notch in the wall pulling the cable behind it and sat down with its head propped up with its hands. After a while Patches could not tell if it was awake or sleeping with the mask on but either way he was going to keep his sensors on him at all times. When morning finally came Esoom came back down the lift. The creature looked towards the movement of the lift and stood up. As Esoom reached the bottom there was a faint knocking sound at the main doors. Patches cracked the doors open a hair to see whom it was and heard Watto’s voice. He opened the doors a little more to let the Toydarian in and shut the door behind him. By that time Esoom was near the doors and greeted Watto with a handshake. “Why have you not gotten the parts ready for the Hutts?” Watto asked. “We found a trespasser last night and don’t know what to do with him. His friends seemed to have left him here.” Esoom replied pointing to the creature behind him. “A Jawa! They are nothing but trouble! Did they take any of the droid parts?” Watto said as he glared at what he called a Jawa. “Hkeek nkulla.” The Jawa said. “Watch your mouth or I will ship you to the nearest Tuskin camp!” Watto scorned. 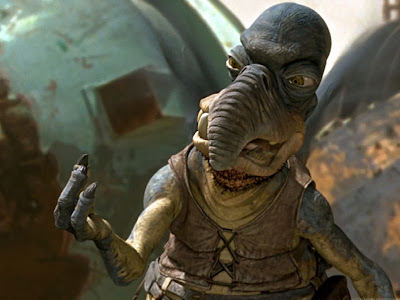 “You know what he is saying?” Esoom said to Watto. “Could you talk to this one for me and find out why it is here and where his friends are?” Esoom asked. Watto looked at Esoom then at the Jawa and then back at Esoom with a scowl. He then proceeded to talk with the Jawa for a few moments. “He says his clan found your ship and broke in. 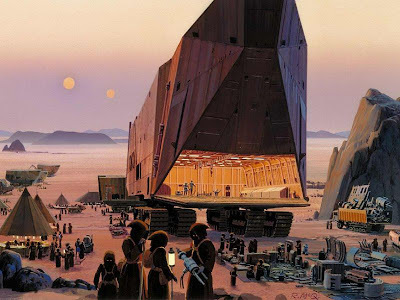 They were going to steal everything on your ship to sell at a great swap meet in the desert today so they could fix their sandcrawler and stock up on food. If it were not for your astromech they would have cleaned you out. His clan ran away thinking people were still on your ship and left him here by himself.” Watto said “If I were you I would feed him to the local Raiders me thinks. This one is named Lihp.” “Ask Lihp if his clan took anything.” Esoom said with a little anger behind his voice. Watto then talked to the Jawa some more. “Well in that case tell him that when we are done here he will take me to his clan and help me get my parts back or I will tie him to the bottom of the landing gear to cushion my landing on the next planet I go to.” Esoom said to Watto but looked directly at Lihp when he said it. “It looks like you have a deal but I would not trust him too much. The Hutts will be here soon so we better get the droid parts together.” Watto said. Right as they got the last of the parts together there was a loud banging outside as if someone was throwing rocks at the hull. Watto yelled, “They are here! We should have been outside to greet them! Hurry and tie Lihp to the ceiling again, I got an idea. Lihp! I want you to play dead as if your life depends on it because it does!” Watto snapped. They quickly tightened the cable and lifted Lihp to the ceiling and opened the doors. “Good to hear, Jabba would be most displeased if anything has gone missing. My men will start loading the droid parts; your hyper drive is on our skiff. 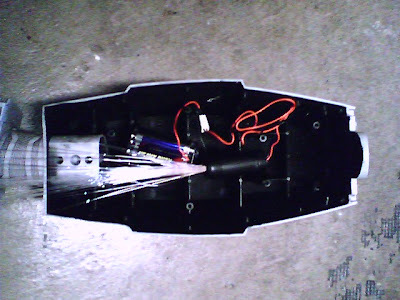 It has been modified to work on your tiny engines and will easily propel it at point one past light speed as long as you don’t weigh it down to much.” Ephant Mon said looking at Esoom with much curiosity. As Ephant’s henchmen switched the goods around he kept staring at Esoom out of the corner of his eyes. “Is there something wrong? Why do you keep looking at me like that?” Esoom asked as he stiffened up. “Have you ever met a Jedi before?” Ephant blatantly asked. “I have no idea what you are talking about?” Esoom said questionably. “Are you saying you can see the Force in me?” Esoom whispered quietly as to make sure no one heard him. “I am saying that if you tell anyone that I was the one that told you I will kill you. Understand!” The Chevin said as he puffed himself up. “Ok! Ok! I got it! No need for hostilities.” Esoom said as he took a step back. Soon Ephant Mon’s men were done loading the skiff and installing the hyper drive. The Chevin went back to his skiff as Esoom, Patches and Watto stood on the loading ramp of the Tree Hugger. “Pleasure to do business with you, let us know if you come across any more battle droids.” The Chevin said as the skiff started to turn around and move away. “By the way, your dead Jawa is not fooling anyone! Next time you lie to me I will not take it so lightly!” The skiff then darted off back towards town. “Thank you Watto for your help, you’re not as bad as you try to make yourself seem.” Esoom said as he held out his hand. All of the sudden Patches dropped the Jawa to the floor with a big thud. “Sabioto! Nekkel juuvar obwegadada! Hkeek nkulla!” Lihp yelled as he jumped up and down shaking his fists at the droid. “Well I am not going to repeat what he just said! That is for sure!” Watto said and they all started to laugh at the Jawa. Some time later Watto left without saying goodbye and Esoom, Patched, and Lihp took off to the desert for parts unknown following the hyperactive Jawa’s directions to where he said the Swap meet would be. The ships landing gear flapping in the wind as they went. Next land of a thousand Jawas! I started today by taking the time to drill the holes in my rocker bearing. I pulled out four of the rubber plugs on the outer bearing and found a drill bit that was the same diamiter as the plug holes. 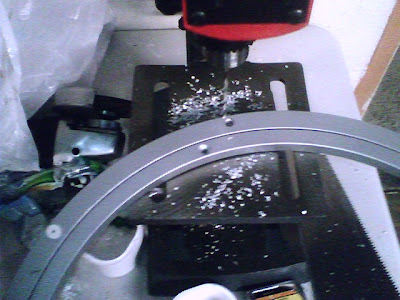 I then took the time to put a level on the bearing as I used my new drill press to make the holes go all the way threw. After that I temporarily fastened the bearing as close to the center of the frame as I could and flipped the entire frame upside down. 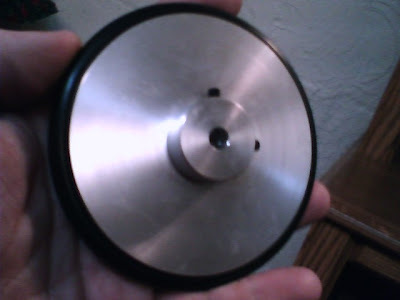 I have looked at many different blogs and seen how they attach their motors but I wanted to try something different. I took the center piece out of the stationary part of the mount and mortised the frame till the two halves of the mount fit on either side of the frame. 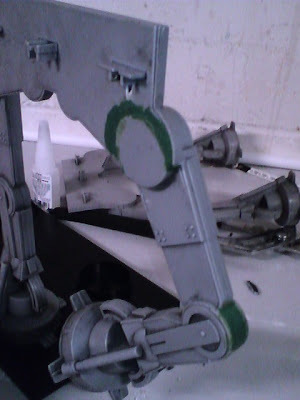 Then I cut out a section of the frame where the swing arm would be touching when it moves. I checked the fit of everything then drilled the mounting holes. I temporarily put all mounting hardware together and flipped the frame back over. As you can see all the mortise work is done on the bottom side of the frame. I took great care to make sure the mortise was flat and square to the top side of the frame. 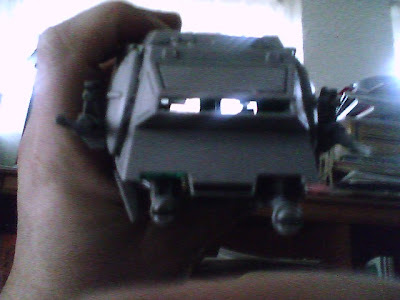 The lower part of the mount is on the top in this picture just to check for clearances. Later I will switch them back around. 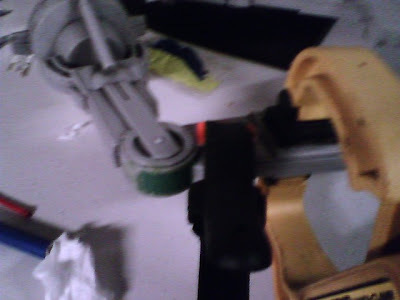 I then again temporarilty re-attached the bearing and hooked up a battery and tested it out in both directions. 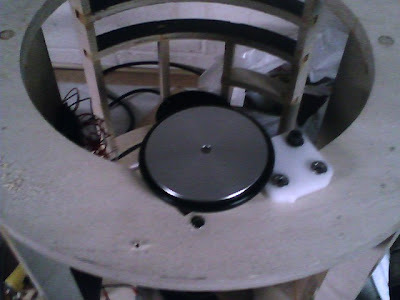 Everything seems to be working well and can't wait to try it with a dome on top. 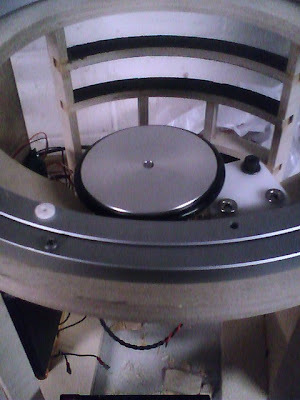 Later, after I get my skins done I will re-center the bearing one more time. The pieces are strong and well made. Thanks Darren! I will post later on how I mounted it to my wooden frame. Esoom’s mind drifted the harder he tried to concentrate, his thoughts went from the care and love he had teaching Patches back on the herd ship, to the anger and hate he had bashing the security droid on Naboo. Faces of family and friends flashed in his mind, his Elder’s words of trust to go on a mission of peace. The images got darker- images of pain and suffering, he saw a mirror image of himself with yellow eyes pushing himself into a dark pit, he was holding a chrome metal shaft with a glowing red blade of energy coming out of it. “NO!” Esoom screamed as he jolted back awake. Sweat was running down his face even though the room was still quite cold. He took a second to get his thoughts and bearings in order and stood up. He had never seen such dark images before. The red bladed sword, could it have been a light saber? - He thought to himself. He had never seen a real one before, but knew only Jedi care them. He dismissed the thought and wiped the sweat away from his eyes, suddenly he felt the ship change direction and started to feel as if it were descending. The wall he was still leaning against slowly grew warmer so he knew they were about to land on the hot surface of the planet Tattooine. The sound of the landing gear lowering could be heard below as the comm system crackled to life, Patches’ happy voice could be heard over the speaker. “Great job Patches, Esoom said as he pushed a reply button next to him. “Make sure you disable the bridge controls so the Pilots can’t use them and meet me by the foot ramp.” Esoom then proceeded down to the main doors and pushed a button that opened them wide, the hot dry air of the planet rushed in and sent chills over Esoom’s now warming skin. The double suns burned bright in the sky as he shielded his eyes from the suns. Soon Patches came wobbling down, his leg still giving him trouble. As they walked they could see Mos Espa in the distance. Esoom could not believe how barren the planet was even though back home on his herd ship there was a dome with a desert environment. The wind picked up and the sand stung Esoom’s eyes. Patches complained that sand was working its way behind his broken holo projector so Esoom ripped a strip of cloth from his own clothing and made a makeshift eye patch to go over the broken projector. When they reached the town they were in awe of how many races of aliens roamed the streets. So as not to attracted any attention to themselves they went up to the first wares dealer they saw. 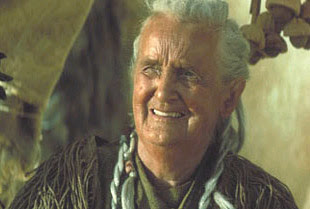 She was an old human lady who was well worn from the years out under the twin suns but her eyes and smile still shown a playful glimmer of a young woman. “Good day to you traveler my name is Jira, how can I help you." She said with many years of rehearsal behind her voice. “I am looking for a junk dealer named Watto, would you know where I could find him?” Esoom said. “That gas filled bug! 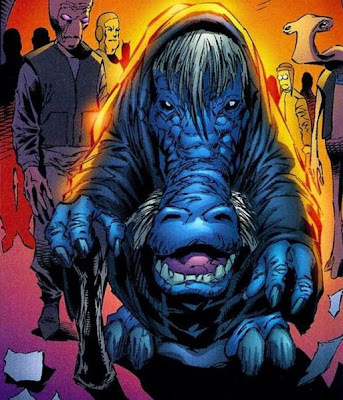 What would a nice Ithorian like you want with a cruddy piece of Bantha fodder like him?” She said with much distain. “A friend of mine named Padme said he would have the parts I need to fix my ship. Esoom respectfully replied. “Ani’s friend Padme! Why did you not say so! Of course I will help you! How is Ani doing now anyway?” She responded with much glee. “That's all right my friend, I'm sure he is helping many people now that he is no longer a slave to that Toydarian.” She said. “Slave? Padme did not tell me he had slaves!” The Ithorian said with much alarm. The direction were clear as day and soon Esoom and Patches found themselves at the front door of Watto’s. Walking in they saw a mired of parts and droids. A bluish Toydarian saw them from behind the front counter and flew over to great them in a language Esoom was not familiar with. 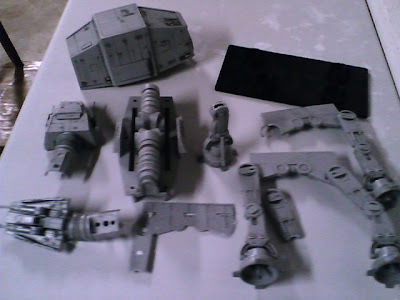 “ I am looking for some parts for my Astromech friend here and some upgrades for a used hyper drive unit.” Esoom said. “Ah a Hammerhead! Strange to see one of you around here! I'm pretty sure I can help you find what your looking for but it won’t be cheap!” Watto said with a crooked smile and laugh. “First off if you call me a Hammerhead again it will be the last, second from what I hear of your recent luck you are in no position to ask top dollar for anything.” Esoom said with two coy smiles. “I have no idea to tell you the truth; I got it from the planet of Naboo.” Esoom said. “I think that might be acceptable as long as it is nothing illegal." Esoom said. Later in the evening Patches, Esoom and Watto, went to go look at the ship. 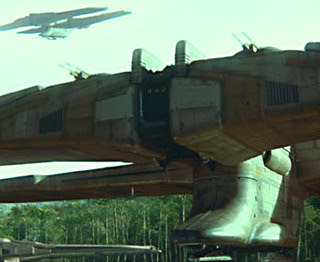 Watto’s face froze when he seen the C-9979 Landing craft hanging there in front of him. “How did you get such a ship! Did you kill someone from the Trade Federation to get it? She would be worth a few Peggat on the open market!” Watto said rubbing his greedy hands together. “Easy! Easy! I was only mentioning! Let’s see these droids and hyper drive you are talking about.” Watto exclaimed as he eagerly flew up the ramp. After some discussion a deal was made and the Ithorian and Toydarian shook on it. 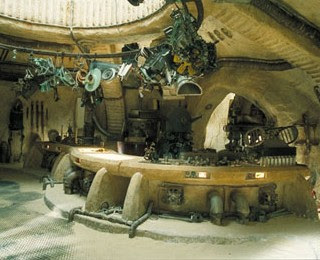 Watto went back to his shop for the night while Esoom and Patches spent the night in the ship. Early the next morning Esoom woke to the sound of Patches hard at work. “What are you doing my friend” Esoom asked? After Patches was done they returned to Watto’s junk shop. “Ah welcome Esoom I'm glad you are here, you two need to watch the store while I go meet with an ah- client. Feel free to work on your droid while I’m gone.” The Toydarian said without waiting for an answer and flew out the front door. Over the next few hours Esoom fixed and tweaked Patches’ servos and motors. Soon the little astromech was rolling around like he was on greased rails; the rest of the time very few customers came threw and only needed minor things. “Who are the Hutts?” Esoom asked. “You never heard of the Hutts! What asteroid have you been living under? The Hutts control everything on this planet. Just be polite and courteous and everything should go without a hitch. I will be there myself just to make sure.” Watto said trying not to show a smile. Returning to the area were they had parked the ship the day before they saw it still standing in the same spot, nothing looked different except for the guns on the tip of the front wings have been removed. The other landing craft that were surrounding it were already being dismantled by the other salvage companies and hauled away. The last of the Naboo techs were just coming down the front ramp of Esoom’s ship from trying to work out the bugs on the new hyper drive they installed. One of the techs approached Esoom as he disembarked from the speeder that brought him. “That is fine sir, you have done more than enough.” The Ithorian said. Esoom showed the plant to Patches then hugged the plant close to him as he proceeded up to the control center. Patches followed behind him on the way up but was told to wait in the doorway of the control room till he was called for. The Ithorian set the plant next to his droid friend and proceeded into the room were the Pilot droids were. The droids stood tall with their heads and arms pointing straight down and completely motionless. “Roger, Roger!” The OOM series droids all said in unison as they saluted their new commander. “Roger, Roger!” The droids said again in unison. Patches whistled happily and went over to the new nav station computer bank and plugged himself in. The blue shouldered pilots started pushing buttons and flicking dials. The ship shook slightly as it started to rise up into the air. The huge landing area doors closed as well as the landing gear as soon as the C-9979 made it past the tree tops. The ship continued to climb up into the atmosphere then into the stratosphere. Soon they were in space heading away from the planet. 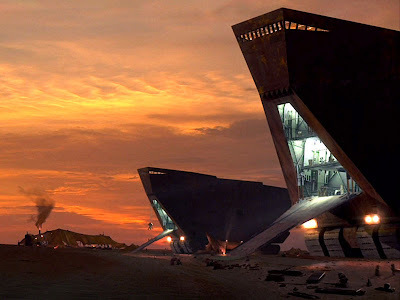 The ship slowly glided past the remains of the Trade Federation Droid Control Ship where their ship probably originally came from. The salvage crews stopped to look at the huge winged ship floating by them as they worked. Esoom made sure to get the registry numbers off a few of the salvage ships in case they might have spare parts they might need at a future date. Patches chattered excitedly and worriedly at the same time as he confirmed that he was ready to start the jump to hyperspace. “Ok my friend, whenever you are ready.” Esoom said as he held on to the nearest console just incase. The ship jolted hard as it started to enter hyperspace; you could hear the hyper drive strain under its own power as it pushed the oversized ship. 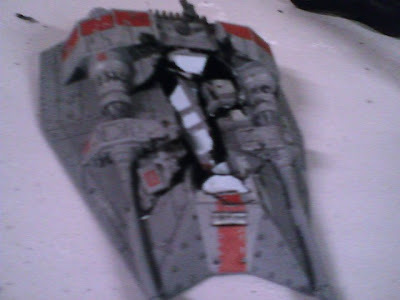 The ride was far from smooth; the ship lunged and shook every now and then when the hyper drive threatened to burn out. The bridge grew cold as they traveled due to the fact that the ship was not designed to carry living beings let alone travel threw hyperspace. After some time had past the hyper drive finally gave out and the ship was flung back into real space just minutes before they were actually suppose to drop out. “How close are we to the Planet Tatooine?” Esoom asked out loud. One of the pilot droids turned its head and told him that at full Sublight speed they would be there within an hour or two. Patches nodded his approval and started to patrol the bridge. His new left leg twitching every now and then because the alignment was still a little off. Esoom smiled to himself at how brave his friend was trying to be then proceeded to go back down to the MMT staging area to take a closer look in the wing compartments to see what he could find. Esoom looked in all four wing compartments but only found parts and pieces of unasembled Battle droids and an array of tools to put them together. He was hoping to find a transport or a tank of some sort but could not find anything. He then went to the rear of the ship to take a look at the hyper drive unit that was installed on top of the Radiant Ion drive engines. It smelt of overheated metal mixed with oil but would be able to be fixed and upgraded as soon as they have landed and gave it time to cool down. This area of the ship was slightly warmer than the rest of the ship so Esoom sat down on the floor next to a wall and started to meditate- trying to center his mind and his thoughts about all that had transpired over the past few days. The room was a combination droid repair area and N1 star fighter repair area, many droids and star fighters where still in various stages of repairs from the battle with the Trade Federation Droid Control Ship. Esoom would have probably been in awe of the sight but he was to worried about his friend R2-CM. He was directed to a small workstation in the back corner of the room were old junk spare astromech parts were normally kept. There he saw his poor astromech lying flat on a worktable with a generator attached to keep his memory core active. Dried mud was still caked to his mangled shovel arms that once carried the rare plant he was trying to save. 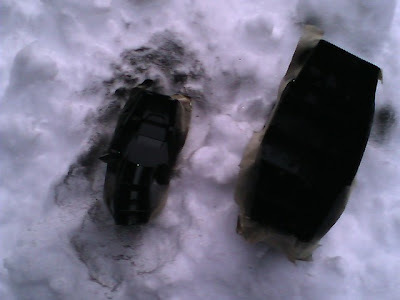 The left outer leg was ripped off by the first double shot that hit him only leaving the top stump of the shoulder, then the bolt continued to ripping threw the front chest area blowing out his utility arms and several doors. The second blast hit the dome and exploded even more doors and pie plates off; his main holo projector took the brunt of the blast luckily but turned it into slag. Looking at his friend tears started to well up in his eyes, He put one hand on his friend’s dome and wiped a tear away with his other hand. He looked down at CM’s still functioning rear logic display, the lights were flickering slow and erratic. The droid let out a clunky swirl and snap that made no sense at all, his vocal system was almost completely shot. CM’s dome then shuttered and squeaked as he tried to turn in slightly, the droid’s rear holo projector flickered to life with a fuzzy static image of Esoom from back on Ithor. “You want a name my friend? We can do that as soon as we patch you together.” Esoom said with a heavy heart. “Patch...flower, flower patch....patch you together, p,p,p,p patch.” Cm’s holo spit out loudly. “You want to be called Patch?” Esoom’s eyes strained at the holo trying to figure it out. “I will not leave you my friend I promise.” Esoom then proceeded to remove the broken exterior pieces that were not salvageable so he could get a better look at the internal damage. The findings did not look promising. Esoom worked late into the night. 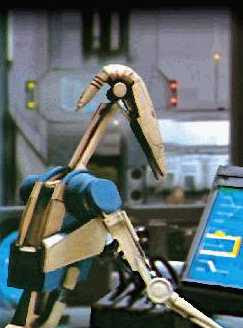 Though there were in a droid repair shop all the new and rebuilt parts were already being used on other droids. Esoom had to wade threw the pile of broken parts and piece together makeshift replacements. 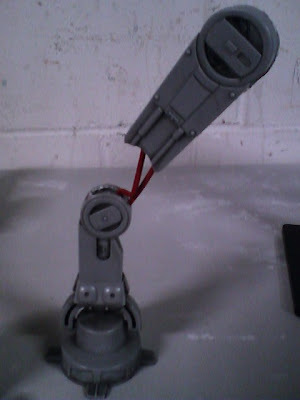 Some things he would have to wait to fix or replace at a later time like the shovel and the left leg repulsor lift. The front holo would have to wait to along with the cracked main eye as well. The Ithorian worked tirelessly threw the night not even stopping to eat the meal that was brought for him by one of the Naboo repair personnel. Some time before sunrise Esoom put together the last pieces he had left, Patch’s springed right back to life. The droid whistled happily as he realized he could move again; though he was having some issues with the new left leg he now had. Esoom held a reflective chrome shell piece from one of the star fighters in front of the droid so he could see what he looked like. For the most part the Astromech looked like he used to except for a few missing parts and some randomly different colored panels. Patches whistled strongly as he seen how multi colored he now was. “Well I guess your new name kind of fits you now that you have so many new colors.” Esoom said will forced smiles. Patches wheeled himself over to an open repair bay door that the N1s launched out of when they were fixed. There he could see far into the distance as the sky started to change color from the sun starting to peek over the horizon. Esoom soon followed and stood behind him. Patches then spoke something to the Ithorian. “Tell her I have thought of a name and it will represent what I will use the ship for. I will use it to help people and planets attacked by Eco terrorists when no other help is available. Tell her I will be calling it The Tree Hugger.”Esoom exclaimed with two of the widest grins Sio ever saw on an Ithorian before. Sio laughed and then escorted the pair to a waiting speeder that would take them to thier new ship and their new home away from home. 300 Domes are almost done! Well Darren says the Domes are at the lazer cutters and will ship soon! 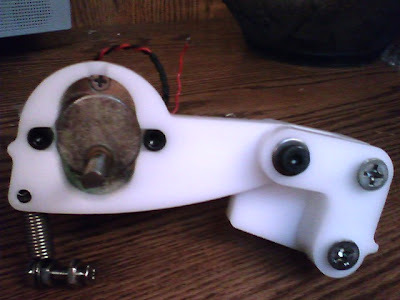 I hope my dome motor bracket and pulley I ordered comes with it also! Darren says he has a few extra left! So anyone that wants one better order now! 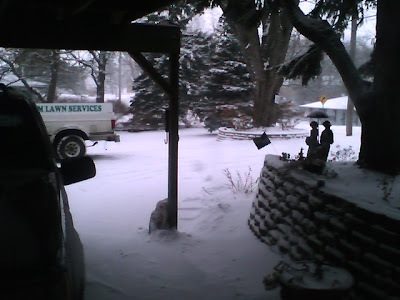 "Random Thoughts Of The Day"
With all this snow I just have not been able to do any out door work on my droid. I wish my barn had a heater in it sometimes. That is there reason there has been a lot of work on the back-story recently and not on my droid. For a rough draft it is not to bad, there is a lot of detail pieces I have to go back and put in later but I'm more worried about getting the main points in. 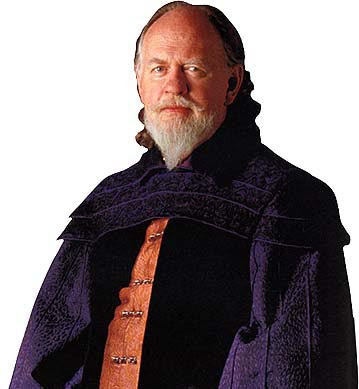 I think it would be a great idea to make an Ithorian Esoom Mendo costume to go with my R2-CM some time in the future. 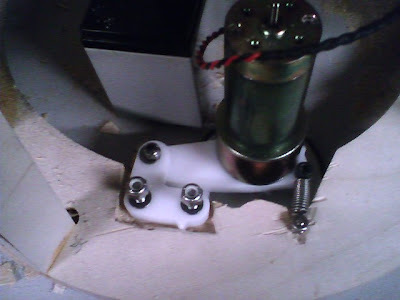 I am still waiting on some parts; my dome motor bracket and wheel, some mini servos, DVDs, the new 300Dome run, etc. But I know these things take time. I also voted yes to be on the next run of aluminum skins if there is going to be one. Looking at what was left of his little brown friend smoldering in the grass, tears started to form in Esoom’s eyes. Padme ran down the ramp aiming her gun in the direction of the shots, she saw a lone security droid coming out of a clearing; as the droid started to take aim at her she dive rolled and shot hitting the red shouldered droid right in the neck. The droid’s head tumbled backwards as its body fell limp. Suddenly five more security droids came out of the clearing. The Naboo security that came with the group put themselves between the droids and the Ithorians then open fired. As soon as the fifth droid fell ten more came out to take their place, then ten more came after that. 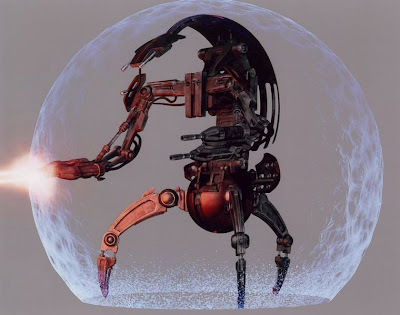 Three of the Naboo security personel were hit and fell to the ground as an even bigger threat came rolling up; a Destroyer droid, it rolled at top speed around the Naboo and deployed next to the Ithorians with its shields up and his gun arms trained on them. The security droids then stopped firing as another OOM series droid came out of the clearing. Everyone got in a line before advancing to the ship with a line of security droids on either side and the destroyer droid in back. The yellow OOM droid went to the head of the group were the remains of R2-CM laid and kicked it in the dome. “Leave him alone!” Esoom yelled snapping out of his trance; he was in still standing on the foot ramp of the ship. Esoom looked down at his hand not realizing he still had the gun but did not drop it. Esoom slowly dropped his gun to the floor in front of him. The officer droid was just about to squeeze the trigger when over the Landing crafts outer speaker came the voice of R2-D2. 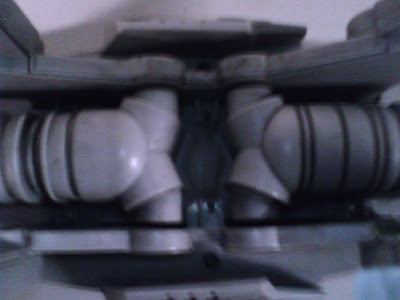 At the same time the C-9979’s wing tip blaster cannons shot down the line of red security droids on either side of the prisoners then angled in at the back to take out the Destroyer droid. Everyone but Esoom duct when the ship started firing, he reached down and grabbed his gun. He leveled his blaster and shot the officer’s arm off that was holding the gun. Esoom then angrily walked up to the now decapitated droid and knocked it to the ground; he raise his gun up like a club and proceeded to bash the droid repeatedly long after the droid stopped functioning. “Esoom stop! Its over now, everyone is safe.” Padme exclaimed as she grabbed one of his arms to get him to stop. After a moment he fell to his knees in front of his metal friend and started to cry. Padme then said that the days work is over and told the Naboo guards and scientists to take the other Ithorians back to the city and that she and Esoom will be along in a moment. 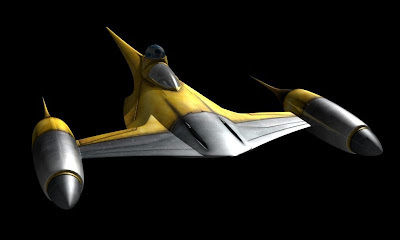 The leader of the Ithorians approached as the others were boarding the speeders. “It is our way young handmaiden; our laws must be enforced in this matter.” Without waiting for a reply the Ithorian leader turned, grabbed the remains of the rare plant and headed to a waiting speeder and left. Padme let Esoom sit and greave for the loss of his droid and his people. She proceeded to go back to the bridge of the ship to collect R2-D2 and deal with the pilot droids. After a while Padme came back out of the ship with R2 and asked Esoom to get up and come back to Theed with her. Esoom wearily agreed and went back with her. When they got back she told Esoom to go to his room and get some rest and that she would help him straighten out this mess in the morning. This was the saddest and longest night he had ever experienced. Gripped by grief he was not able to sleep the whole night. The next morning one of the queen’s representatives came for him and asked him to follow. Soon they entered a great hall were diplomats, gungans, and the queen were discussing maters of State. The Queen seeing Esoom approach got up from her seat and walked over to the humbled Ithorian. 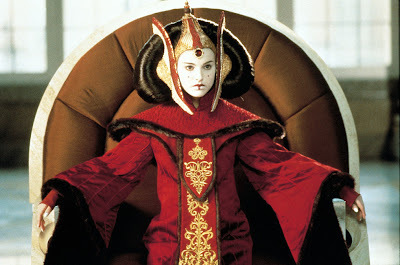 “You are welcome Queen Amidala; I would do the same for an living life form.” Esoom shakily said. “Oh thank you my Queen! Thank You...” The Ithorian exclaimed. “Oh thank you my Queen! I am humbled by your generous offer.” Esoom bowed down to her respectfully. The Queen then went and sat back down and continued her other conversations where they left off. Esoom was directed outside to a waiting speeder that would take him to the area where his droid was being held by another representative, he could not wait to see his friend functional again.